The sad truth is that we usually outlive our cats because their lifespan is shorter than ours. Unfortunately, sometimes their life is cut quite short due to terminal illness or accidents, and they must leave us sooner. Always a difficult time, the loss of a dear feline friend can lead to a whole mixed bag of feelings, but coping with the loss is something for which there are some proven helpful strategies, some of which are presented below. Whether the loss was gradual and expected or sudden and unexpected, dealing with the transition can be eased by talking to your veterinary health care team members, your family and friends, or a support group that brings people together to share their feelings. Support groups may meet in person or a counselor may be available by telephone. If you think you are having serious difficulties moving past the loss or grieving is interfering with your life, it is important to consider a visit to your physician for referral to a professional because sometimes this type of support can help one reach closure when other strategies fail. Please note the pet loss support resources at the end of the article. They may help you cope with the trauma of losing a beloved companion. Have friends or family come with you to visit a sick cat in the hospital or have them come to your home to share time and say goodbye with you and the cat. When is the time right for euthanasia? When cats are chronically ill, it is sometimes very difficult to tell when they are in pain and when their quality of life has dropped so low that the best thing to do is to offer a humane euthanasia. Sometimes it helps to remember the cat when she was in her prime and compare that with what you see in the ill cat. 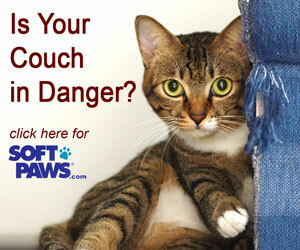 This can help you more clearly identify what is not normal now for your cat. Many times, signs of illness wax and wane, so that the cat that looked bad last night looks like she is getting better this morning. Ask your veterinarian for guidance here, since that type of situation can be difficult to move through. As a rule of thumb, take the status of the cat on average as a guiding post for assessment of comfort, etc., though if phases of obvious, serious pain or distress occur, even if the intervening periods are pretty normal, this indicates a need for prompt resolution of the cat’s difficulties. Discuss the options for aftercare with your veterinarian well ahead if possible, so that once you say goodbye, you do not need to visit these issues during your time of grief. Cremation with or without ashes returned, private cemetery burial, backyard burial if local ordinances allow, and other options for aftercare can be decided upon. Custom urns can be ordered for storage of returned cremated ashes if you wish to have a suitable urn for display at the home. Some veterinarians offer a paw print in clay or other memorial for your cat, so inquire about such services if you think it is right for you. Remember that you have given your pet a wonderful life and companionship, and rejoice about the good times you shared. This will help to keep the focus on celebration of the cat's life. If you are in a position to be present at the euthanasia and have not been present before, make sure you are given a description of the procedure ahead of time so that you are not surprised by what you see. Some people prefer not to be present, others prefer to be there—there is no right or wrong. It can be very emotional. Some people find it distressing, others very healing and comforting, so discuss any concerns you may have if you think being present might not be right for you. Children especially may benefit from reading about pet loss—there are many excellent books about dealing with the loss of pets for children. Reading this resource with the child may help to encourage sharing of good memories and acceptance of loss. Sometimes, a little poem written by the family to memorialize the things that were special about that cat and that they especially want to remember can help to heal. It is normal to experience strong emotions at the time of passing. It is not unusual for the intensity of grief to be close to or the same intensity as the loss of a close friend or, in some cases, a family member, so allow yourself to release emotions around this event. Grief is a very complex process and differs for each individual. One person may not show overt grief while another is obviously emotional. Some people experience a delay in onset while for others' grief may come and go quickly. This does not mean the grief is any less strong because each individual has their own way of experiencing it. Psychologists describe phases of grieving during which transitions between quite different states of mind can occur. Anger, denial, sadness, and other feelings may admix or occur in the classical stages described in the human psychology field. Not everyone goes through all of these stages, either. Just be aware that if you or a loved one seem to be going through this sort of turmoil, it is very normal. Be easy on yourself, and do not try to second guess decisions already made, try to assign blame, or feel guilty if you imagine that something else might have been done. Whatever the circumstances surrounding a euthanasia decision or loss, they are never straightforward or simple, and your veterinary health care team will fully support any decision you make. As described above in the introduction, use any support means needed to help you cope with grief and loss. This can be very healing. Reading a touching poem such as Rainbow Bridge can help. You can also find books that are designed to help you understand your feelings. Whatever happens around the time of loss, remember that the time will come when the grief passes. Over 80% of families in the United States consider their pet as part of the family, so don’t be surprised if you find yourself in this category.